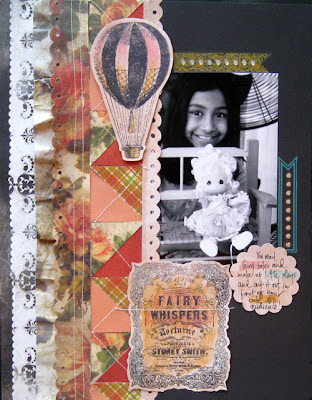 Hi there my Glitz blog friends, Mou Saha here with today's layouts. 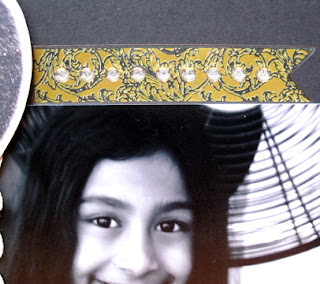 When I got a box full of Glitz's new CHA-Winter releases, I was blown away. They are just so lovely! 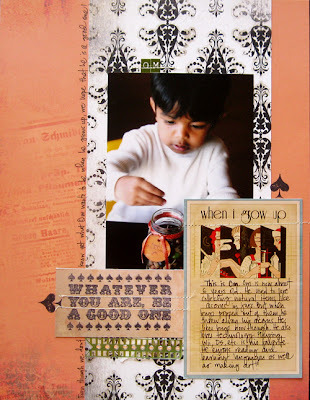 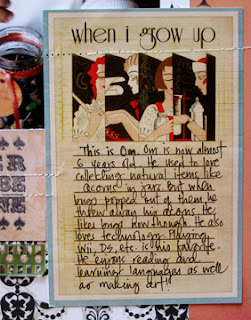 My goodness, I LOVE the stamps... and they found ways into my layouts this month. 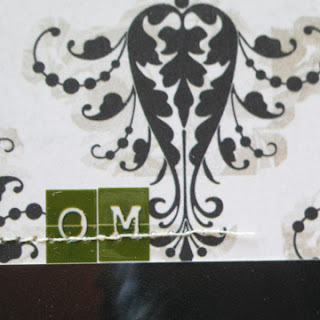 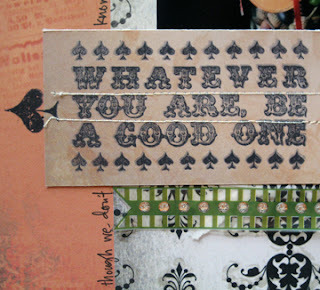 I used this Distressing stamp from the Afternoon Muse collection to create the page title. The new colors of the Teeny Alpha stickers are so rich. For my second layouts, I got happy with textures and more stamps. 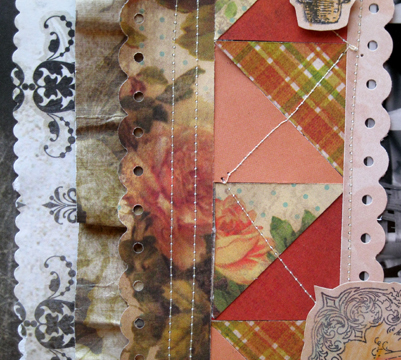 I layered and paper quilted a border for the page. 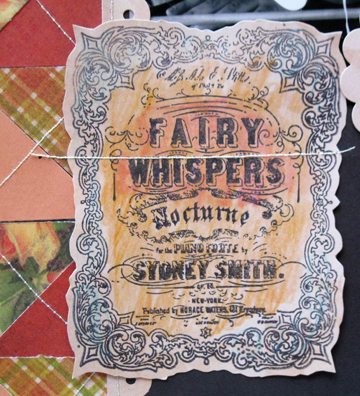 Next, I added the photo and stamped the hot air balloon and Fairy Whispers block and cut them out. 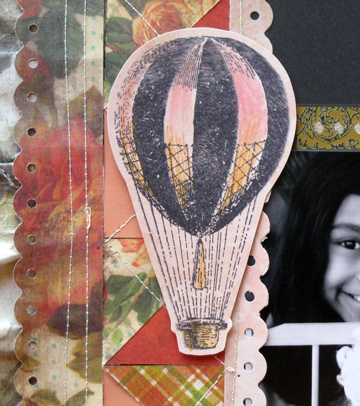 I colored them in and mounted the balloon to the page with pop dots. I stitched the Fairy Whispers block onto the background to create the title. And here are some more details from the page.